One of the wonderful perks of being an entrepreneur is that your hobby can turn into an income stream. Many people begin making soap at home as a hobby because they’re interested in creating their own custom soap without unnecessary fillers and perfumes and because they want to choose their own scent and ingredients. Making soap can be fun, challenging, and rewarding. This hobby can easily become a part-time or full-time business because many others would like custom-made soap, but they don’t have the time or the inclination to make it themselves. If you already love soap making and want to learn how to earn money from it, we have the strategies for you! 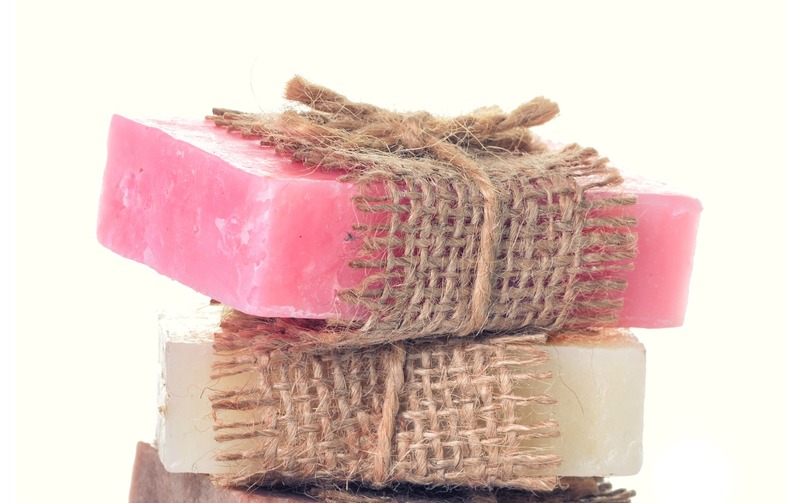 There are many soap suppliers who provide soap making ingredients, but to make a profit, consider ordering your supplies in bulk at a discount. Also, find the supplies that cost the least but still deliver a superior product. The cost of your supplies can be a major factor in determining how much profit you can make. However, don’t buy such cheap supplies that the quality of your product is compromised. Part of the appeal to handmade soap is the visual element. Package your soap attractively. Make sure that the soap ends can be seen, and consider adding a pop of color if you’re relying on brown wrap or cardboard for your wrap. A twine wrapping can add a nice, homey touch. You can get plenty of ideas from Pinterest or even a Google search for “homemade soap wrappers.” When you decide on a design, you can order the wrappers online in bulk. Choose your design carefully, as this can serve as the visual image of your brand. Perfect one type of soap before moving on to the next one. If you offer too much variety in the beginning, you’ll have to buy too many supplies. Instead, focus on one recipe that you can perfect and begin sharing with friends and family. As your business grows, you can add different types of soap to your repertoire. Your first inclination may be to sell your soap online, and that certainly is a good place to sell. However, the market for online handmade soap is very competitive. To get into the handmade soap selling market, especially in the beginning, you may want to consider selling locally. Places where you might want to consider selling include local boutiques, farmer’s markets, flower shops, etc. 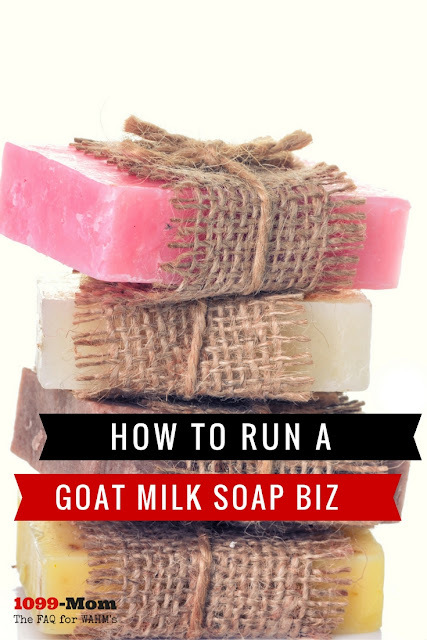 While the handmade soap business is a crowded one, especially in the online field, there are plenty of ways that you can make yourself stand out from the crowd. Focusing on goat’s milk narrows your field. You could also develop one specialty soap, such as a nourishing, moisturizing soap for those harsh winter months. Carefully consider how you can set yourself apart from the rest of the soap makers. If you can offer a product that is different from other handmade soaps available, you’ll likely see your business grow. Handmade soap definitely has a prime selling season—Christmastime. You may do 50% or more of your business at Christmas. Make sure that you prepare for this. Have an abundance of inventory as you enter the fall months so you have enough stock to sell. Also, when you’re making a decent profit during the Christmas season, make sure to set aside an ample portion for the leaner months that will be coming up, especially during the winter season after Christmas. When you first begin your business, you’ll likely want some guidance. Luckily, there are plenty of places where you can look. There are many handmade soap groups on Yahoo!, which can provide an abundance of information. If you also share your knowledge within a group, you’ll help others, and they’ll be more likely to help you in return. You can also look for Facebook groups, watch YouTube videos, and read books on the subject. If you love making handmade soap, consider turning your passion into a money making venture. Although the online handmade soap market is competitive, you can find your own niche through specializing and marketing locally.